Black Alistar is the RAREST skin, that it is still possible to get through codes. He is also one of the most awesome looking ones, If you come rolling in as a Black Alistar people will be asking you what kind of skin this is. Its so rare, and so few has it! You can get Black Alistar now here on our website, for a very limited time, we just have a few codes. This is not in stock, and most likely never will be again! 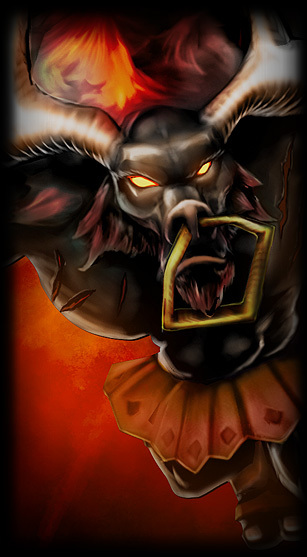 Concept Alistar as a black minotaur. Model Minor model changes for Alistar.